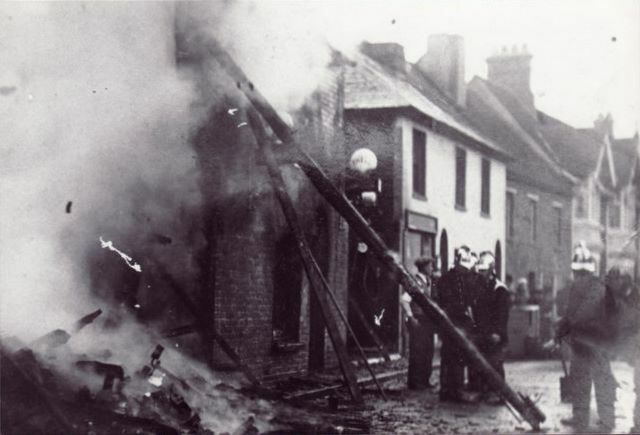 These dramatic photographs from the Essex Fire Museum at Grays show Hadleigh Fire Brigade fighting a fire in the High Street on 20th February 1933. 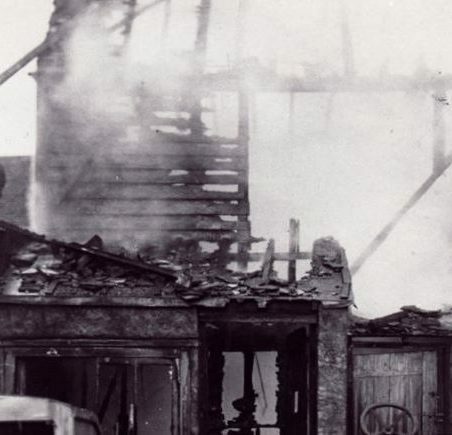 The fire almost destroyed the premises of the Castle Garage (the Castle Hotel can be seen on the right). 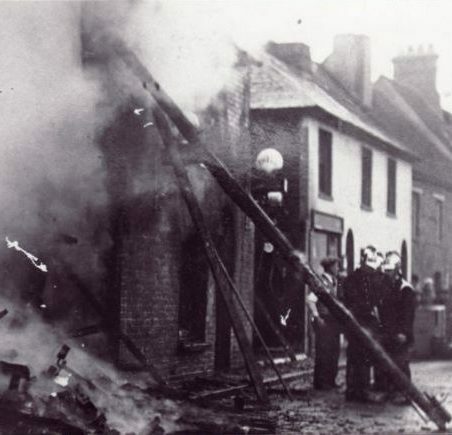 Looking at this picture reminded me of a fire also in the High Street, in fact almost opposite Castle Garage. It was a wooden cottage on the right hand corner of the church entrance. For a reason that I can’t remember, I was walking on the path from the corner on Castle Lane towards the garage when this cottage caught fire and I saw the flames. 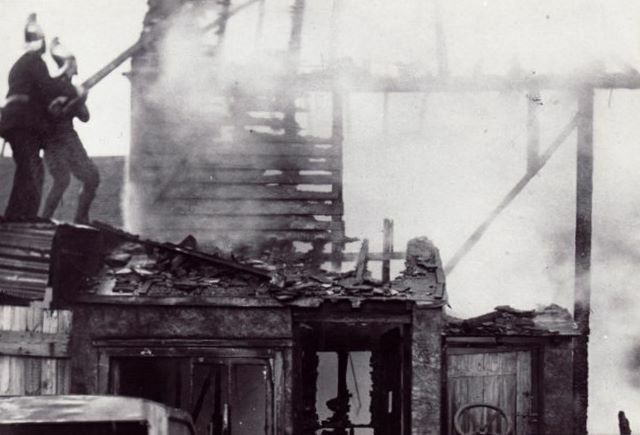 All the windows shattered and in no time the building was destroyed. 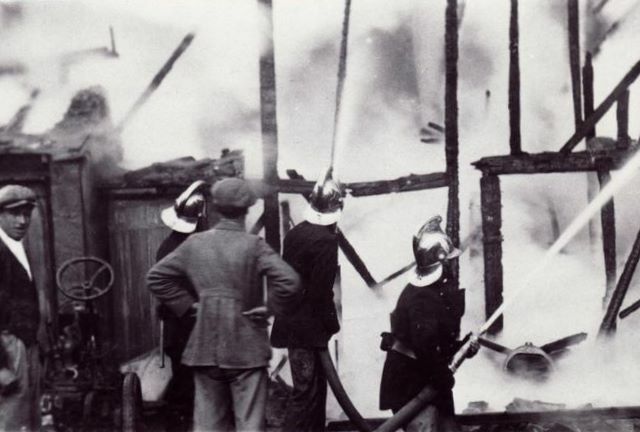 The occupants were a family named Pasefield and Mr Pasefield was in fact a retained fireman. 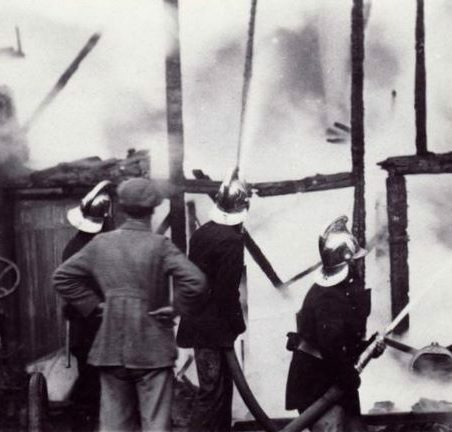 At that time the warning to summon firemen was a maroon that could be heard for miles, but of course it was too late. I am not sure what is on this site now, but the cottage was never rebuilt as far as I know. I don’t think there were any casualties.